American Journal of Public Health and the Nation's Health Vol.45, No.5. 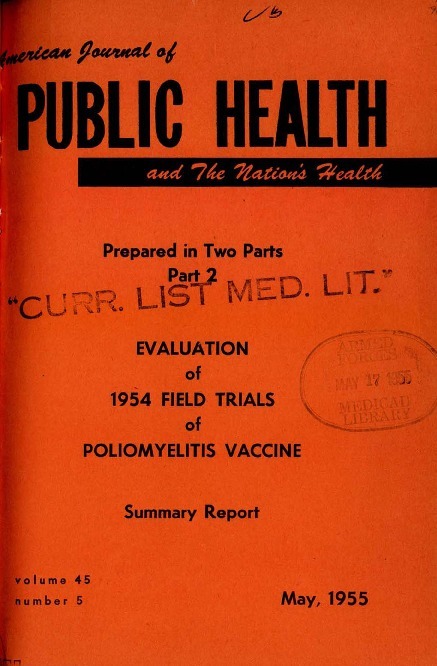 The second part of the evaluation of 1954 field trials of poliomyelitis vaccine summary report. “AMERICAN JOURNAL OF PUBLIC HEALTH,” The Global Health Chronicles, accessed April 20, 2019, https://globalhealthchronicles.org/items/show/6295.